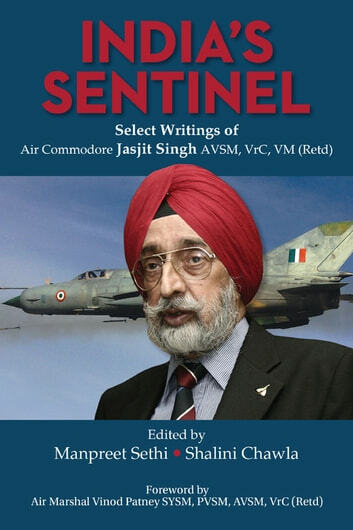 Air Commodore Jasjit Singh was one of India’s foremost strategic analysts. The only constant for him in over three decades of research, analyses and writing was the centrality of national interest. Indeed, the man never let the nation down, whether as an air warrior or a strategist – ever ready to voice his views irrespective of how the wind was blowing – and always remaining practical in approach. Ever an optimist, he believed that India would inevitably rise to power by the sheer size of its economy and human resource potential. A greater concern for him, however, was the need to sensitize his compatriots to the national security challenges that would arise as the country rose, and to equip them with the capability to optimally address these. He did so through his writings and talks. This book is a modest compilation of his select writings on two specific issues – nuclear strategy and Pakistan – since he considered these as critical amongst India’s many security challenges. Of course, the range of Jasjit Singh’s writings and the expanse of his knowledge is immense and beyond capture in one book. But, this is a small effort in the direction of spreading his message/ideas to the current and future generation of scholars and policy makers. Hopefully, it will encourage students of national security to look for more of his writings beyond the few that we have been able to carry in this volume.